Mere moments after last weeks obsession with red cabbage slaw, I began reading a hard copy of Genius Recipes. 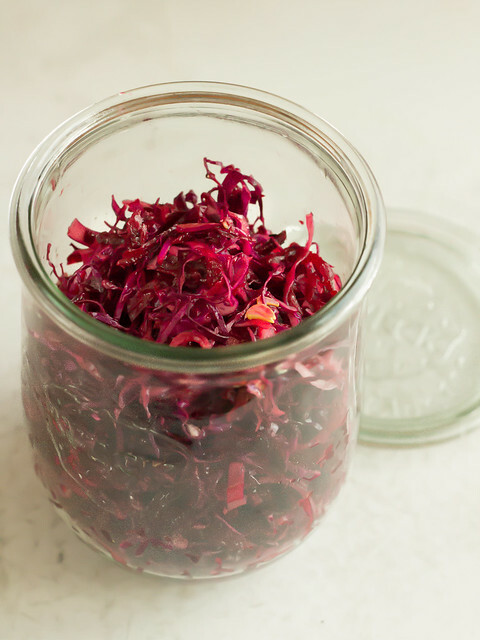 I missed the Fergus Henderson Red Salad when it appeared online a couple of years ago - and who knows, I might have overlooked it by not being completely obsessed with red cabbage at the time. I'm only mentioning it because it is genius, as is the rest of the Kristen Miglore book which feels so good in the hands. With 'gestures of balsamic' and 'healthy splashes of olive oil', it is exactly the right evolution from my red slaw when plated with Greek yogurt and candied jalapenos. A short and sweet paragraph encouraging you to give it a go.